WB still closed at this time at Genessee. 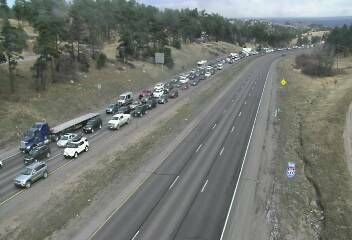 All EB lanes now open per CDOT email. UPDATE Crash I-70 MM 253 Genesee. EB traffic all lanes open. Heavy delays in the area. OPEN WB I-70 MM 253 Genesee. All lanes open following crash cleanup.